Welcome to the Muff emporium! 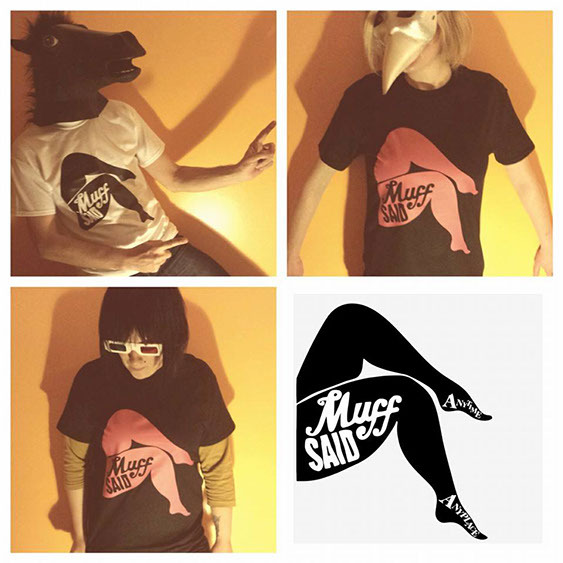 We have some fabulous Muff Merchandise you can buy including T-shirts, CD's, Badges and Stickers!! If you want to get your hands on any of our marvellous muff memorabilia, frankly the best way is to get your bum down to one of our shows and we'll be happy to practice our best customer service on you! Failing that drop us a line at muffsaid@gmail.com and we can arrange to get a flock of pigeons to deliver direct to your door.....or perhaps we'll just pop it in the post.